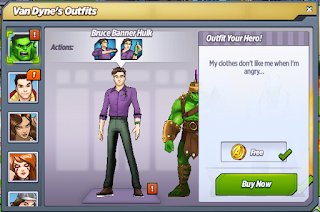 Bruce Banner Hulk is an outfit that you can win for Hulk in the Spectacular Science Crate at a cost of 80 Shards per try. The outfit has a unique questline and allows Hulk to take part in combat! Iron Man: What's your first project gonna be, normal-sized scientist? Bruce Banner Hulk: I wanna keep experimenting with Gamma radiation transformations. I've figured out a way to control myself for the most part, but I'd like to create a formula to help anyone else who's affected. 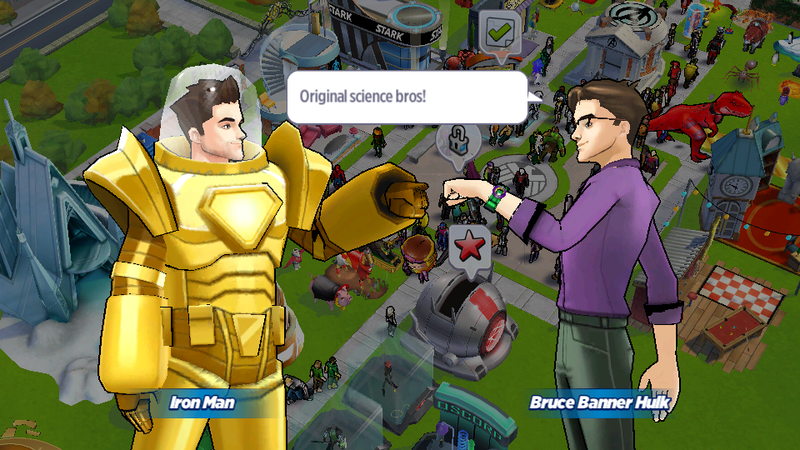 Iron Man: Original science bros! Bruce Banner Hulk: Are we gonna say this at the end of every single conversation? Iron Man: We can say it at the beginning too! Iron Man: How are the experiments going? Bruce Banner Hulk: Uhhhhh...I'm a little rusty. Iron Man: We all fail a lot before finding the right formula. No reason to sweat it unless somebody died. Red Hulk: What's this supposed to be? You think you're too good for us? Bruce Banner Hulk: I was a scientist before I was a Hulk. I'm just taking a break. Red Hulk: Go ahead and take your break. Just be careful you don't get broken. She-Hulk: Are you doing alright, cousin? You know, besides being pale and scrawny now. She-Hulk: I'd like to help, but you might be talking to the wrong person. I love being big and green. 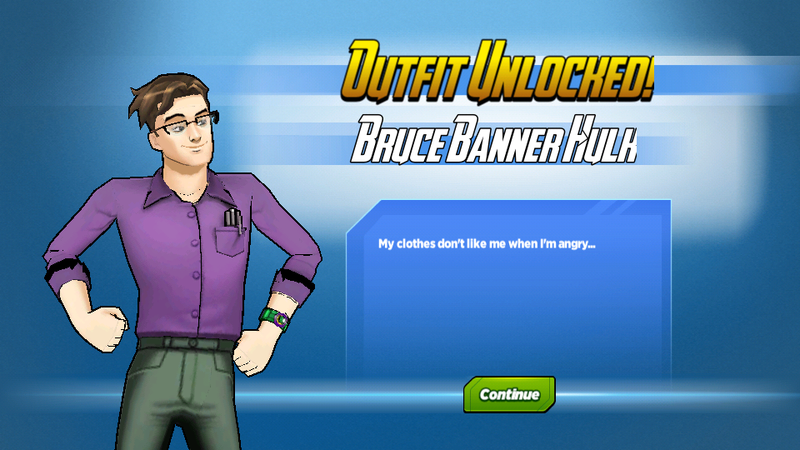 Hank Pym: Bruce Banner! How is non-Hulk super-scientist life treating you?! 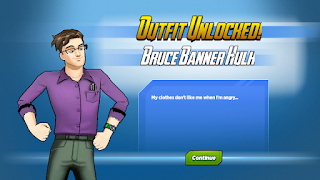 Bruce Banner Hulk: It's been a more difficult adjustment than I imagined, but I think I'm finally figuring it out. Hank Pym: Fantastic! I always say that within every scientist hides a raging monster! Iron Man: Nice Gamma sharks! Iron Man: I know you haven't scienced in a while, but when something awesome happesn, you always act like that was the plan. 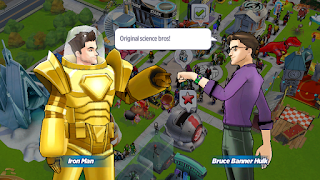 Bruce Banner Hulk: That's science?